Quick post to let you know I’ve made it to Prudhoe; having gone as far north as possible above the Arctic Circle and I’m now ready to start cycling south. This will be the only spot with reception for the next 10 days, so last update for a while. 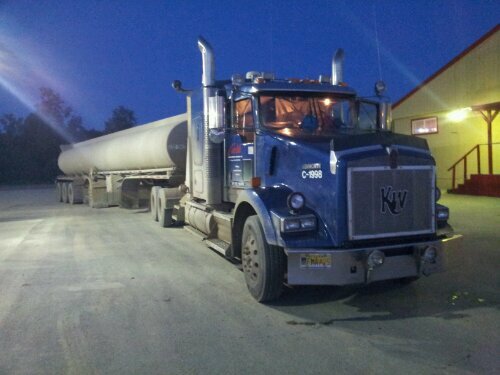 Wednesday was spent at hilltop truckers cafe talking to every trucker that walked in, in an effort to get a lift. In the end it took 17 hours before I finally got the lift I needed and left at 1.30am for a very interesting truck journey. The boys at Carlile kindly sorted me out: thanks to Terry (excellent driver carrying nearly 10,000 gallons of fuel; I have every confidence in his driving abilities on an exceptionally technical and challenging road to travel), Lane (manager who took the time to coordinate the lift even though it was exceptionally busy), Robert (another driver, for the initial introduction) and Dan. Thank you so much, it was an exceptional experience and certainly have an extremely favourable view of Carlile and appreciate better the strains these people have to operate under. 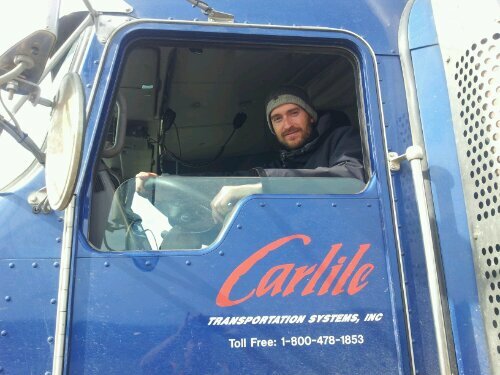 I will be sure to watch Ice Road Truckers – the show is mostly centred around the road I just travelled and their employees. Scenery was incredible and I’m looking forward to cycling it – coming down the Atigun Pass, the highest point on the road. Seeing what I’m going to be riding has been very exciting and it looks very challenging. Why did the bear rip up my tent? Good luck buddy and happy birthday! 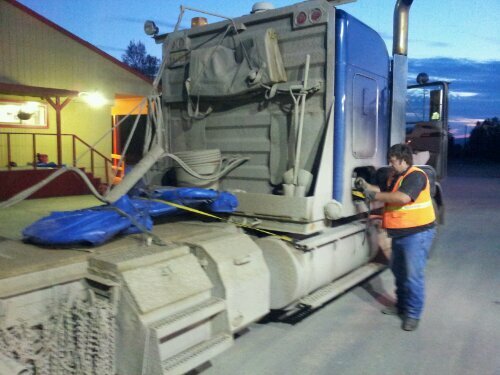 Great Job – Getting a ride out of a truck stop for the Haul Road is no average feat! Your persistence payed off. Prudhoe Bay! You’ve made it! Thanks to all those wonderful people you’ve been so lucky in meeting! Now the big bike ride really begins – on your birthday! Happy day! Happy Birthday Nick! Guess you won’t be out partying tonight (does Prudhoe bay have a Tamariz?) Congratulations on making it to the start line, a big achievement in itself. 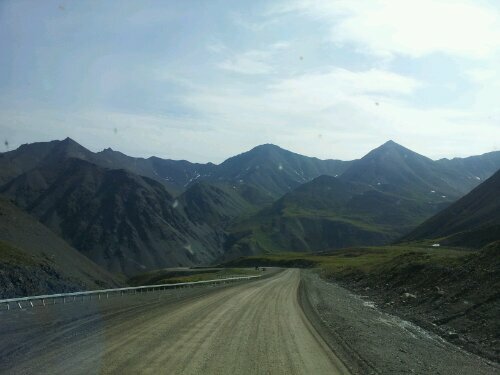 The Dalton highway, nothing like getting the hardest bit out the way first. Must feel like you’re about to go over the top – good luck against those elephants. May you enjoy fair weather and northerly tailwinds. Holy crap its your birthday!? Awesome dude, be safe and drop us an update when you’re on the other side. Best of luck hoss. Happy birthday Nick! Have an extra muesli bar to celebrate. Actually maybe you’d better be careful with those rations. Thinking of you, good to know you’ve got that emergency alert thingy you told me about; hope you don’t need it and watch out for those potholes. You’re freakin’ me out! Love X. Thanks for your comment Steve. Back in civilisation now. It was phenomenal, got some stories to tell (including a bear destroying my tent!). Definitely no favourable tailwind though. Most of the time spent battling into a headwind! Attacked by a bear! Sweet sweet Hesus (Spanish pronounciation to add dramatic effect) Full blog update please!! Can we sponsor you for bear wrestling? Hey! Glad you made it man. I am one of the few people who can say I know what you’ve been through. I guess the derailer held together till Fairbanks. No shout out to those North-bound cyclest who stopped in the construction site to help you out?!? Good luck man, I’ll keep checking this, maybe I can meet up with you later and go through Mexico with you or something. Cheers Eddie! Coldfoot to Fairbanks was ridiculous. I thought it was going to be downhill all the way but turned out to be a type of hell I didn’t know existed. And your help was very much appreciated by the way, it was grim there wasn’t it? In a kind of no man’s land. Did you get to Denali? Let me know if you have any info on it. Mexico for sure will let you know, sounds good.